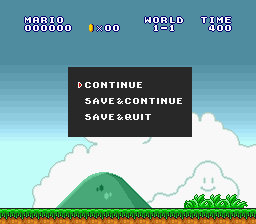 Description: When you apply this patch to your ROM, you can create custom interactive pause menus. Give credit to Bio if you are using this patch, crediting me (Nesquik Bunny) is optional. 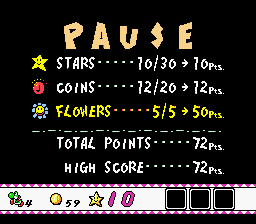 This version fixes a bug where if you paused on the OW would mess things up. There are also a few other changes. Read the readme.txt on how to use it properly. Why is it incompatible with AddmusicK? 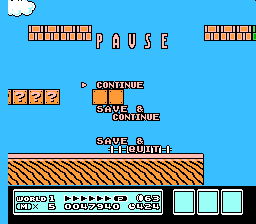 That Pause Menu won't work with the hacks using Addmusic K (gaem won't unpause) and menu will use garbled graphics. !Freespace 	= $1596F8	; x1000 bytes (minimum). 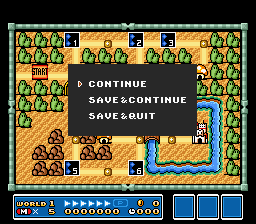 The sample one patch is still an xkas patch. Moderator's note: this patch is currently incompatible with SA-1 because of hijack overlap. Other than that, it's a pretty cool patch. It gets a lot better for people with some ASM skill since it's so customizible. 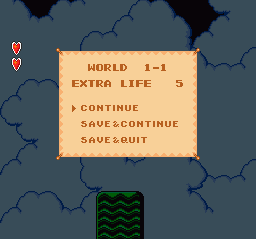 Note that it does require you to set up your own menu though. Asar says that this is an xkas patch when I try to apply it (and by it I mean the sample patch), even this is supposed to be an xkas to Asar conversion? 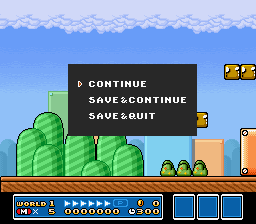 Reference to Super Mario All-Stars, Super Mario World 2: Yoshi's IslandSuper Mario Bros. Deluxe, Super Mario Bros. 3Mix (hack) and New Super Mario Bros., but I'm too lazy to make a pause menu similar to these.